Does mrjgray belong in this group? Does linn2009 belong in this group? 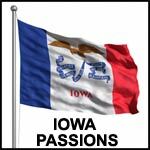 Born and raised in the hawkeye state I've lived in iowa my whole life I've also traveled quite a bit but iowa is the place I truly love Everything about it. Best state fair and the best people and the best team the Hawkeyes! Does tokeartist belong in this group? Does 18wheellover belong in this group? Does pete15rm belong in this group? Does focussed1 belong in this group?